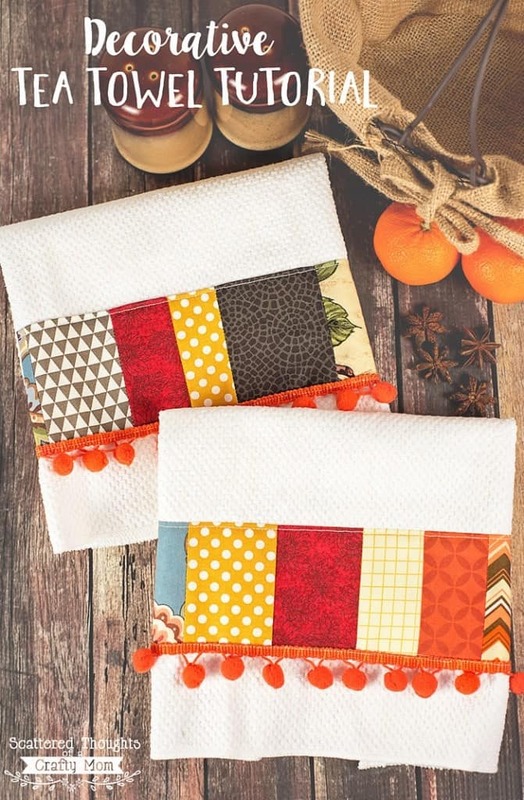 These DIY Decorative Tea Towels are a fabulous way to use up all fabric scraps and add a little fall color to your decor! Don’t you just love a pop of color in your kitchen? 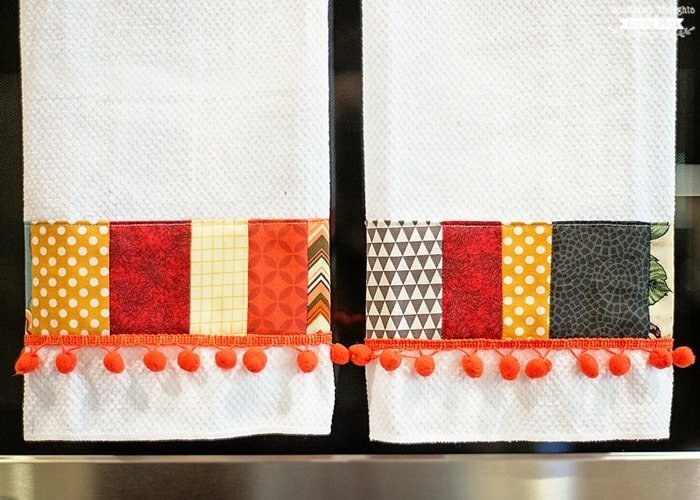 Tea towels are a great way to add seasonal color to your space. As I mentioned the other day, neutrals just don’t do it for me, I like color! 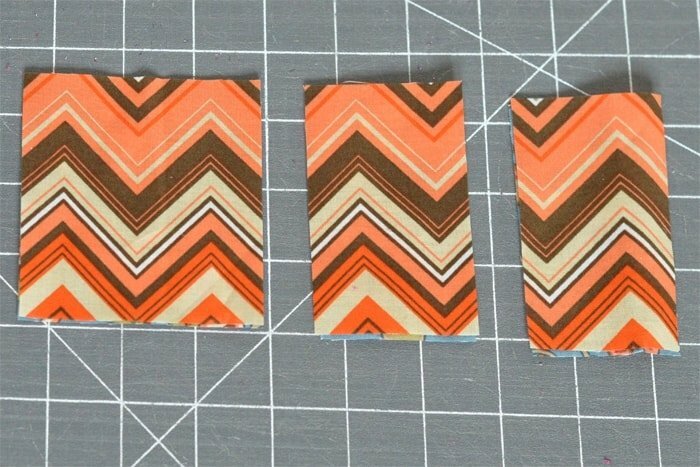 I had so much of this pretty fall fabric leftover from the skirt I made for my missy a few weeks back and didn’t want to waste them. 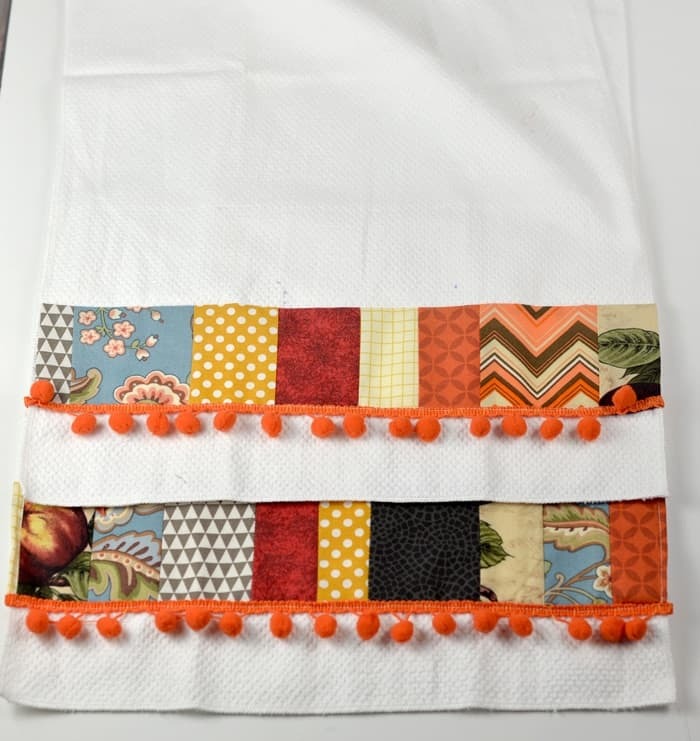 I thought these pretty little tea towels would be the perfect way to use those scraps. 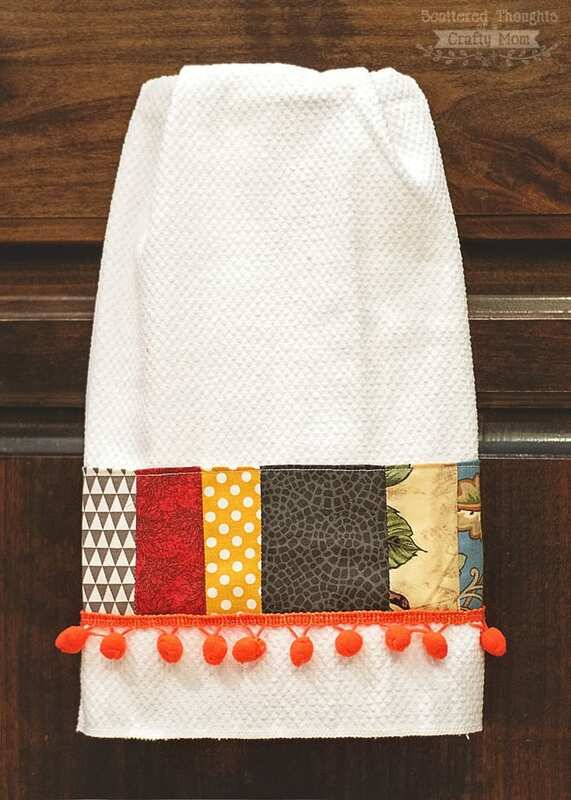 Undecorated, ready made hand towels. 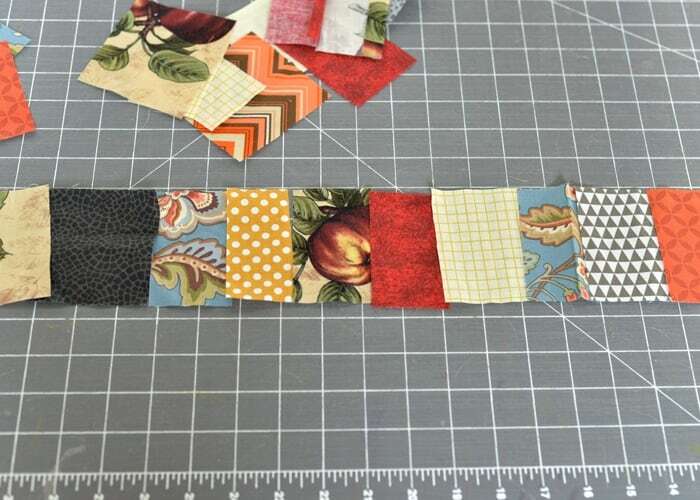 Cut the scraps into various widths, and mix them up. Line up your scrap pieces into a pleasing order. 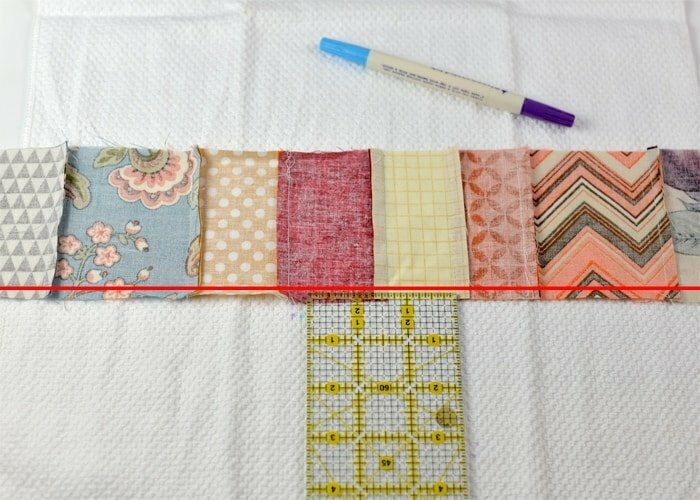 Use enough squares so the strip will be an inch or two wider than the towel. 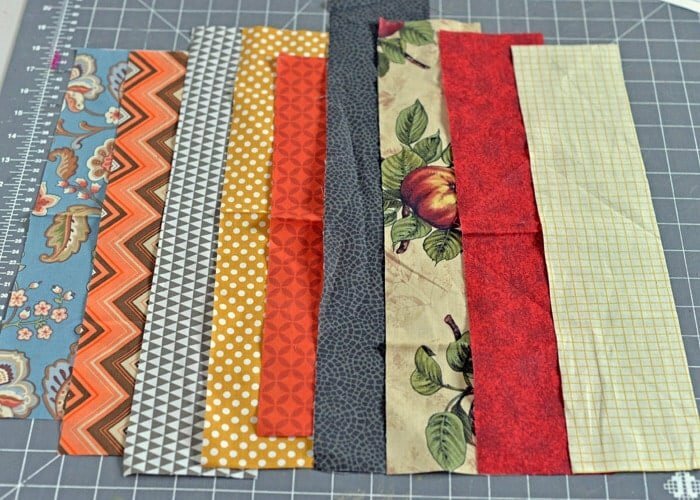 Sew fabric squares together with a 1/4 inch seam allowance. 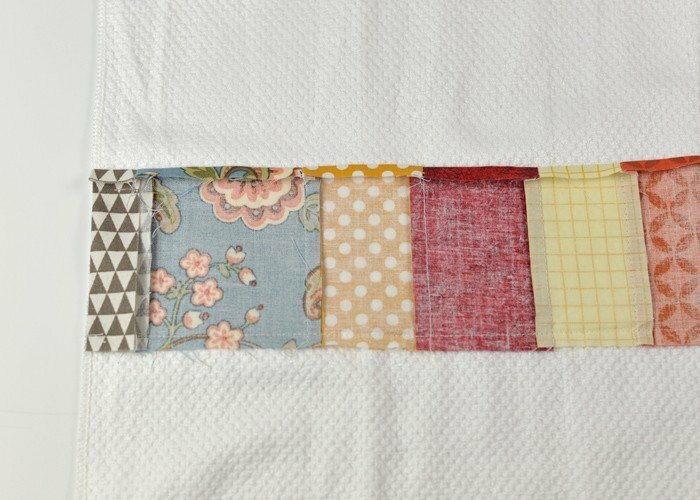 Press the seams and lay fabric stip onto towel in desired location. Flip the fabric strip upwards, be careful to keep it straight . Measure down 1/4 inch and move the fabric strip down to the the new measurement. 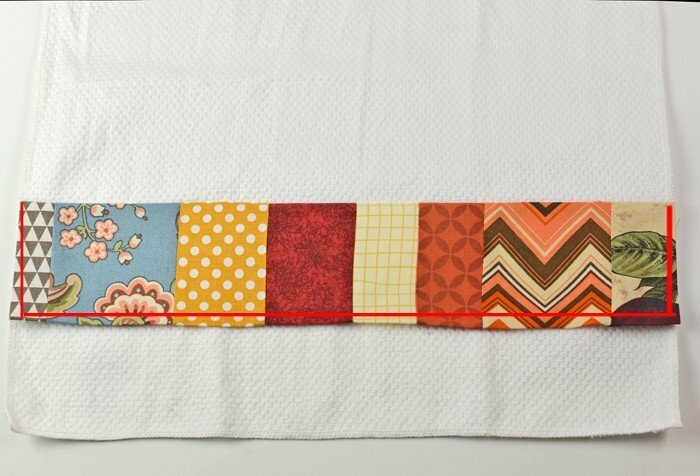 Sew along the bottom edge with a 1/4 inch seam allowance. Fold side edges over, so they line up with towel edge. Press. Fold top edge over 1/4 inch, press. 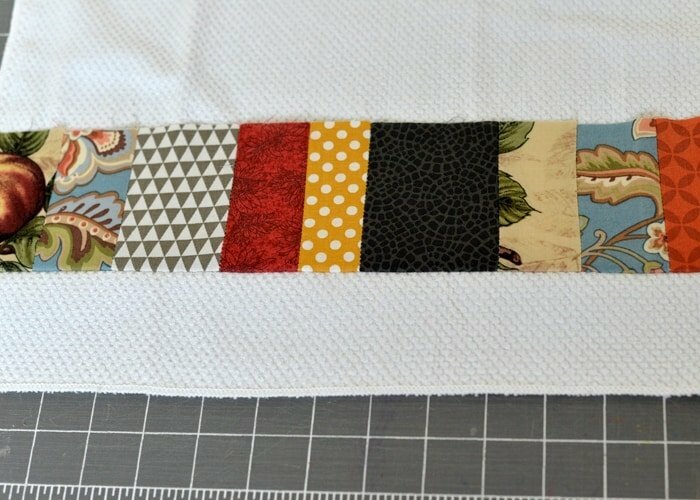 Fold fabric strip down, press again and pin in place. Sew along the sides and bottom. Top stitch and add trim if desired.